In 1990, a 15 year old boy gave his GCSE examinations at Argoed High School, in Flintshire, north Wales. 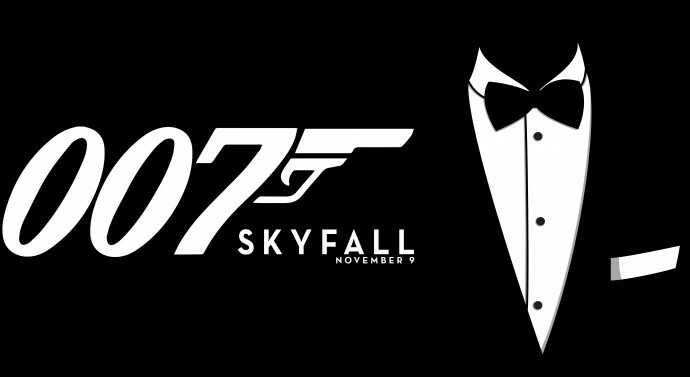 The student’s name was James Bond and guess what his examination paper reference number was? 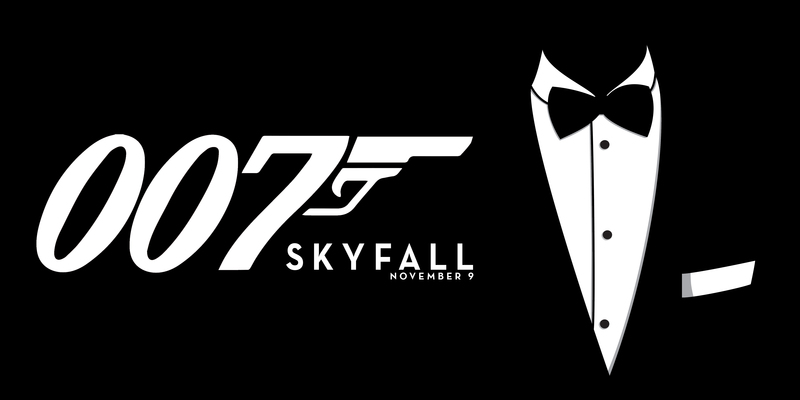 – 007. 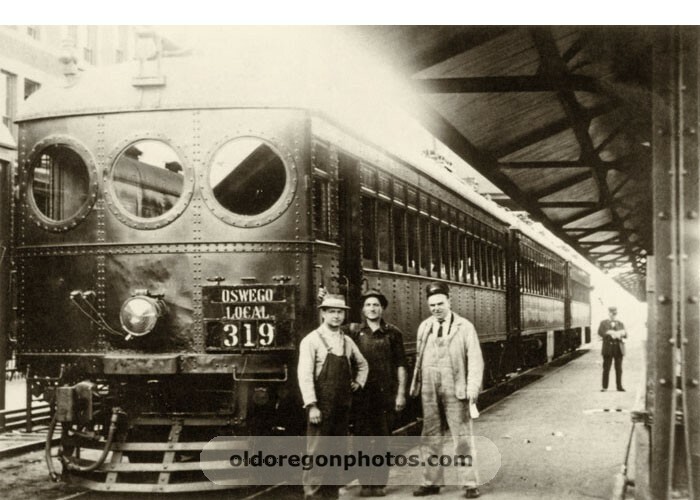 In the 1920s three Englishmen were travelling in the same carriage on a train in Peru, they discovered that one person was called Bingham, the second person was called Powell and the third man was called Bingham-Powell. Steve Jackson was a role playing inventor. 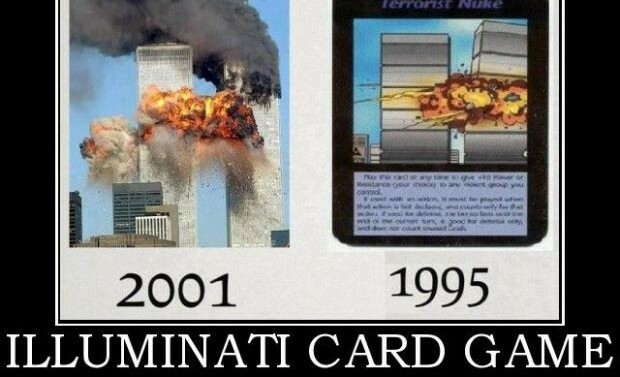 He created a game called “Illuminati New World Order” game or INWO. 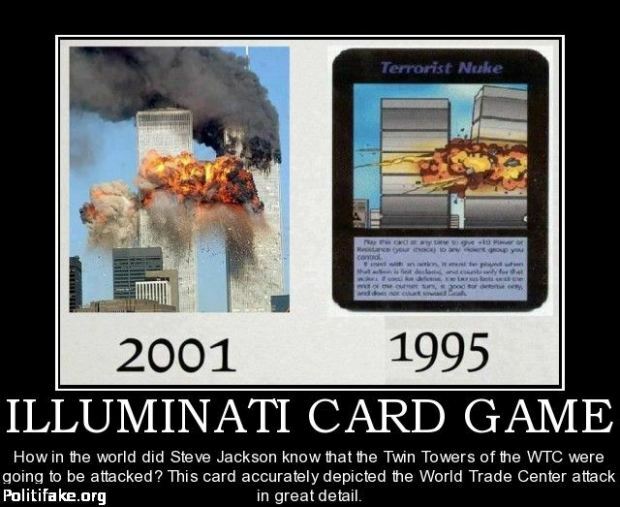 This illuminati card was made in 1995 and 9/11 attacks took place in September 11, 2001. In 1953 Mr. George D Bryson was visiting Kentucky for the first time and he found the Brown Hotel in Louisville, Kentucky. Mr. Bryson checked into room 307. After unpacking he went down to the reception to see if he got any messages. The receptionist gave him a letter addressed to Mr. George D Bryson, Room 307. This might not seem strange except that the letter was not for him. 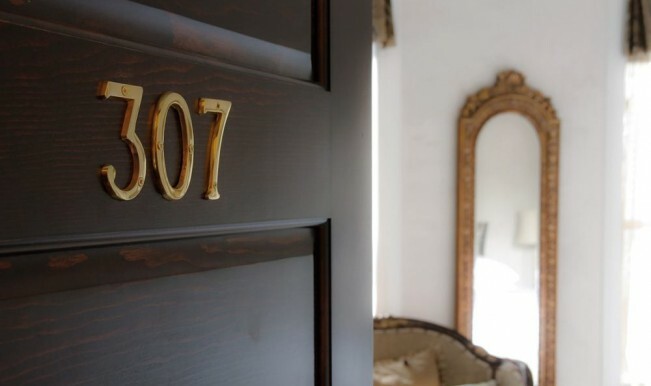 It was for another George D Bryson who was the previous occupant of room 307. 5. 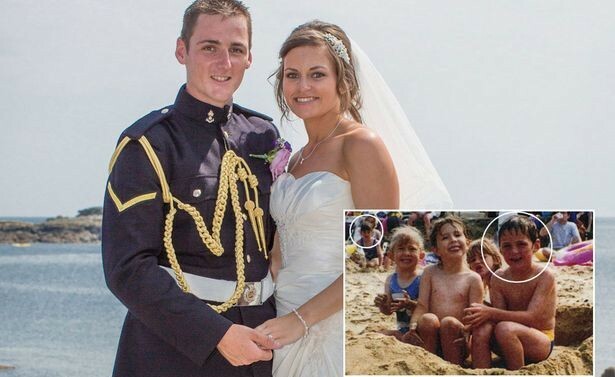 Married couple framed in a photo before they met. 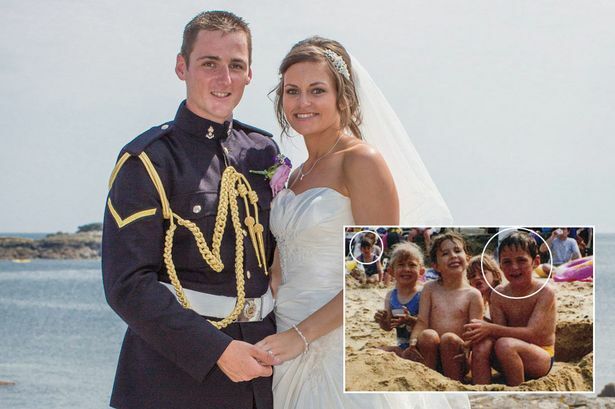 The newly married couple Nick Wheeler and Aimee Maiden were going through old photos when they found out both of them in the same photo playing in the beach a few feet apart taken 11 years before they ever met. 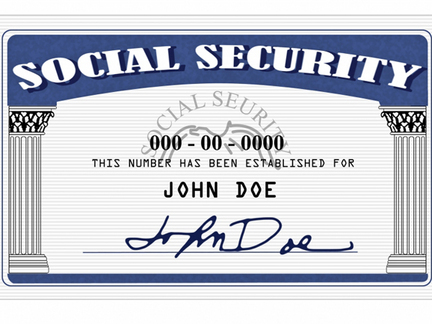 Two American women got the same social security number due to some technical flaw. They both went to the office to register a complain due to the same social security number. When the two women met they were in shock. They had the same name-Patricia Ann Campbell, both of them were born on the same date-March 13, 1941, both of the fathers shared the same name-Robert Campbell. Both got married in 1959 and their husbands were military men, both had two children, one was 21 and other was 19. Both the women had a passion for oil painting and both had worked as book keepers in the past and both had studied cosmetics. Joseph Matthaus Aigner, an Austrian painter, tried to commit suicide by hanging himself when he was only 18 years old however he was interfered by a strange Capuchin monk. 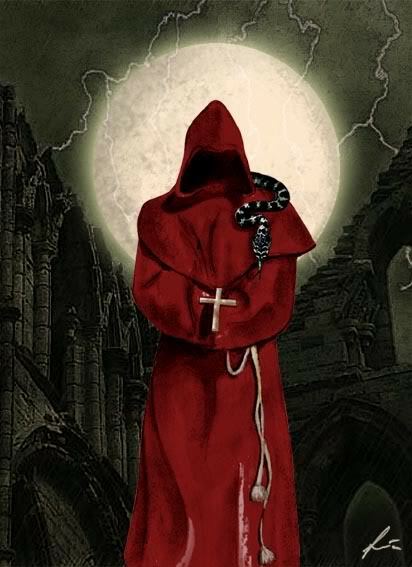 At 22 years old, he again attempted to kill himself however the same monk showed up on the spot and stopped him to do as such. Because of his radical political exercises, the Austrian government sentenced him to death however again he was saved by the same monk. At long last, at age of 68, he committed suicide by his own gun. 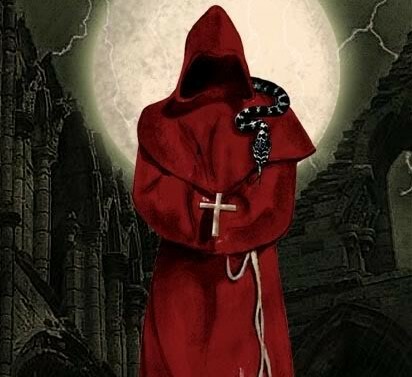 Shockingly, the same mysterious monk led his burial service function. 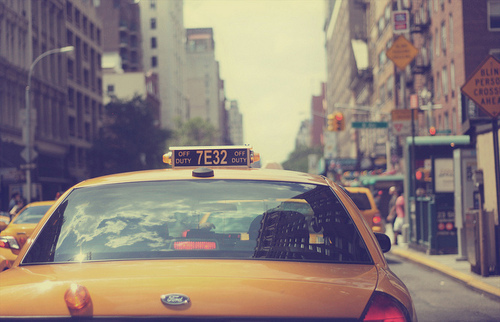 In 1974, Neville, a young 17 year old boy who was riding his moped died when a taxi hits his moped which resulted in a crash. A year later his younger brother who was 17 at the time also died during an accident who was riding the same moped and the bizzare thing is that it was hit by the same taxi, carrying the same passenger and on the same intersection. 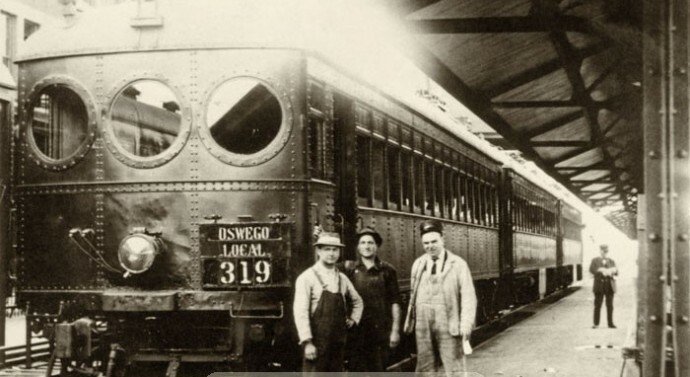 In 1883, Henry Ziegland broke up with his girlfriend who, out of pain, committed suicide. The young girl’s furious brother chased down Ziegland and shot him. Trusting he had killed Ziegland, the sibling then took his own life. Indeed, be that as it may, Ziegland had not been killed. The shot had just touched his face, lodging into a tree. It was a close call. A long time later, Ziegland chose to chop down the same tree, which still had the projectile in it. 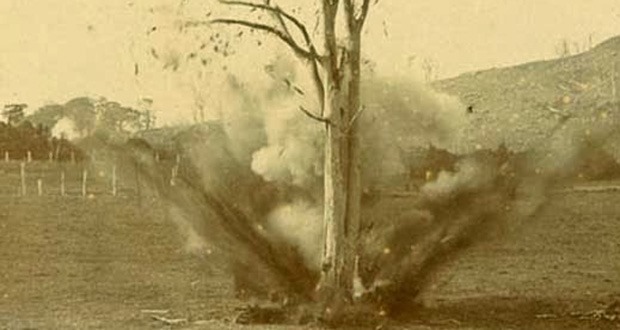 The gigantic tree appeared to be so strong and big to the point that he chose to explode it with explosive. The blast led to propelling the bullet into Ziegland’s head, murdering him. In Taranto, Italy when a man is standing in his backyard is struck by lightning and dies. Thirty years later, his son is struck by lightning and dies in the exact same spot. 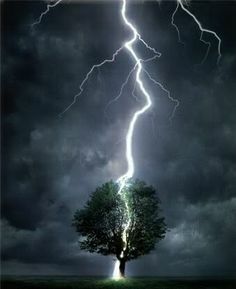 In 1949 the man’s grandson also dies when a lightning bolt strikes him and he was standing in the exact same spot as the previous two. 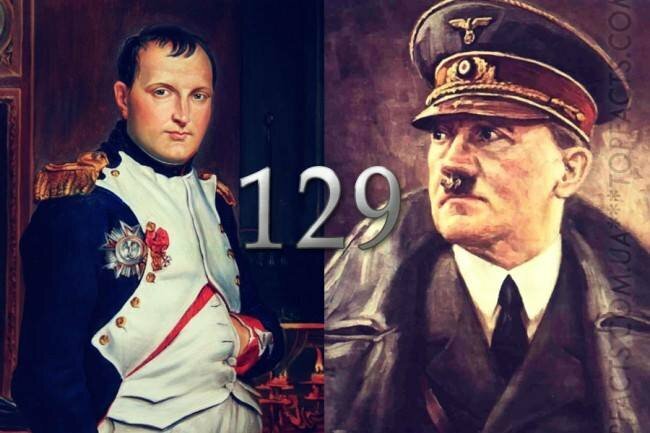 Hitler was born 129 years after Napoleon. He came to control 129 years after Napoleon, attacked Russia 129 years after Napoleon, and was defeated 129 years after Napoleon.